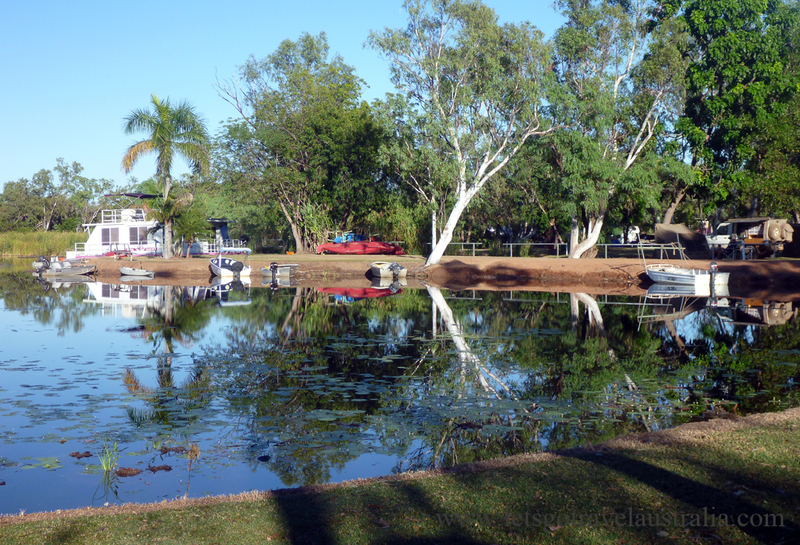 27/06/14 – We are staying at Kimberleyland Holiday Park, they are pretty full and the only site we could get last night was a water site at $40 right on the lake. Nice large site, some grass with great views. At night you can see glowing red eyes of the fresh water crocs. Some of the other sites are dirt and close together. The new toilet block is great, the old one very tired. 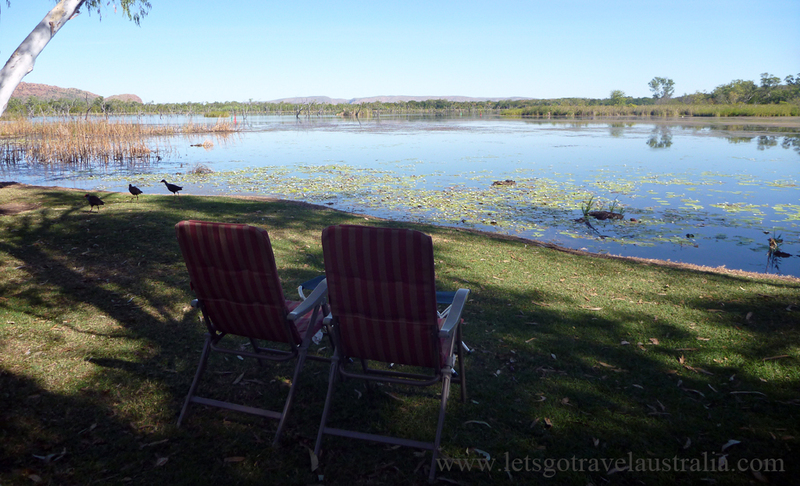 The park is like an oasis in Kununurra. Across from the park is Celebrity Park where local celebrities and politicians have planted trees. KDS Mechanical re gassed the aircon in the ute for us. They were great, very quick and fitted us in between jobs, so we now have cool aircon again. 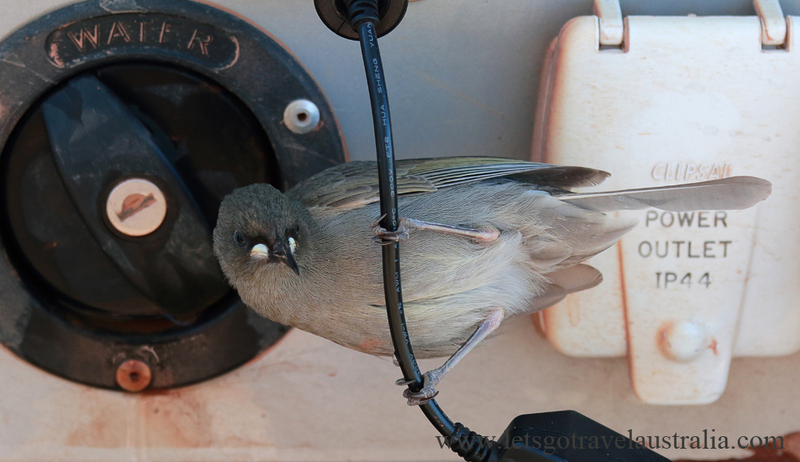 Can’t say we were that impressed with Kununurra. Can’t bring fruit and veg or honey into WA and the local Coles runs out of supplies constantly. Honey is rare like liquid gold. Bread and other food item shelves would be cleared out by the end of the day. There is an IGA actually had better fruit and veg. Lots of locals roam the town and Coles car park at night. There are several security guards at the front doors and roaming around the car park. We got fuel at Ordco Diesel which was 16c cheaper than filling up in town. It’s about a 5min drive out of town. Tonight there was some entertainment at the park on the river stage. A local guy singing 70/80’s, country style music. He was pretty good. Was nice to sit under the stars and enjoy the show.